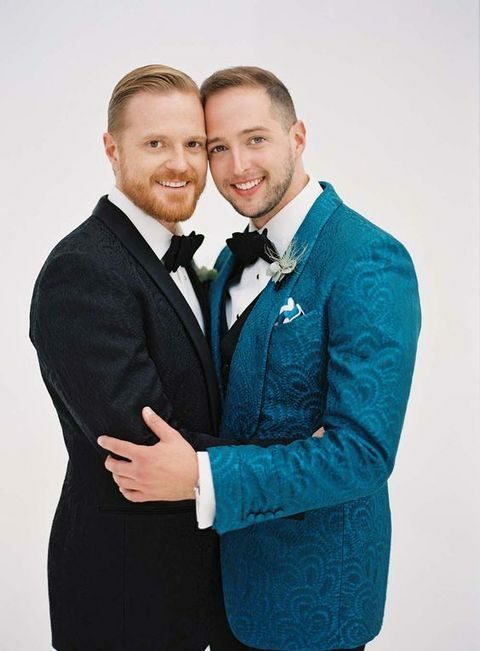 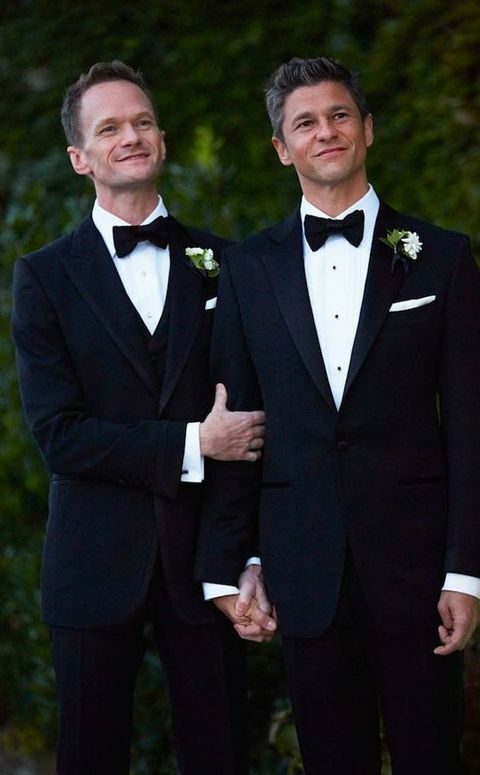 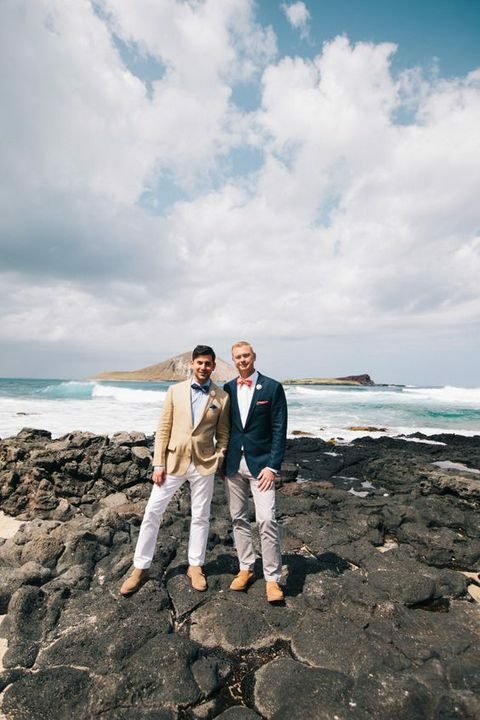 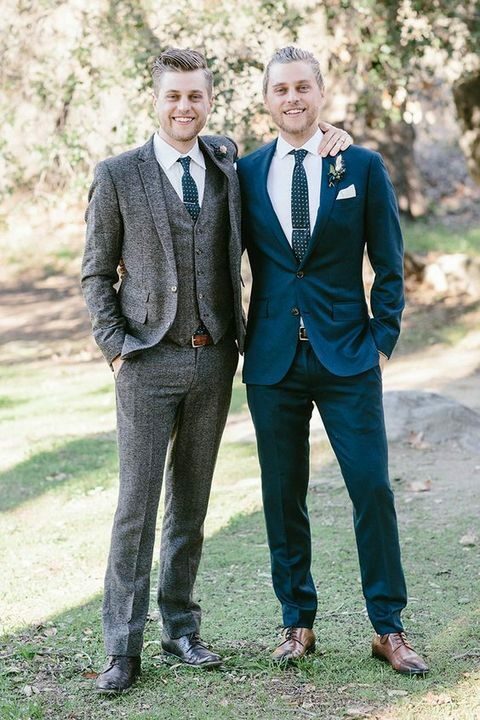 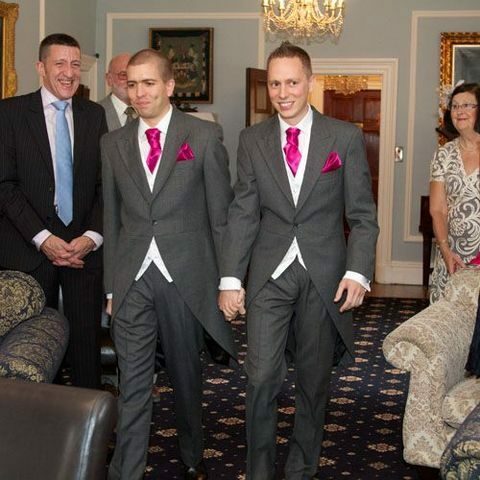 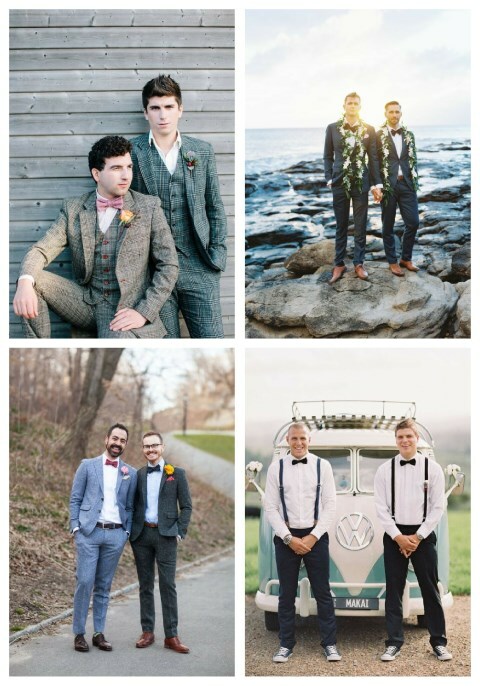 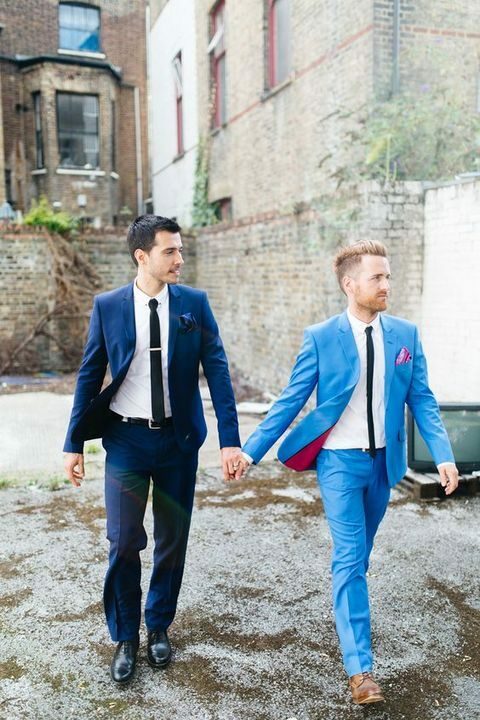 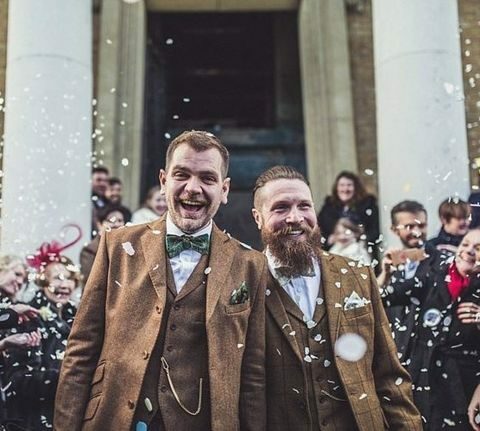 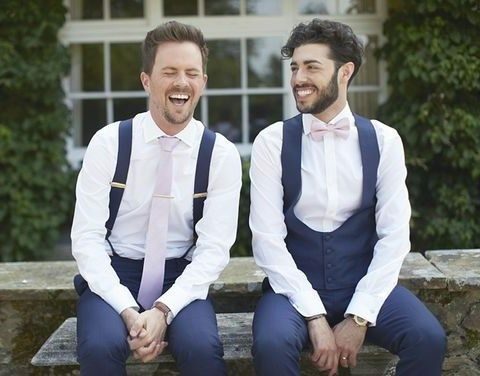 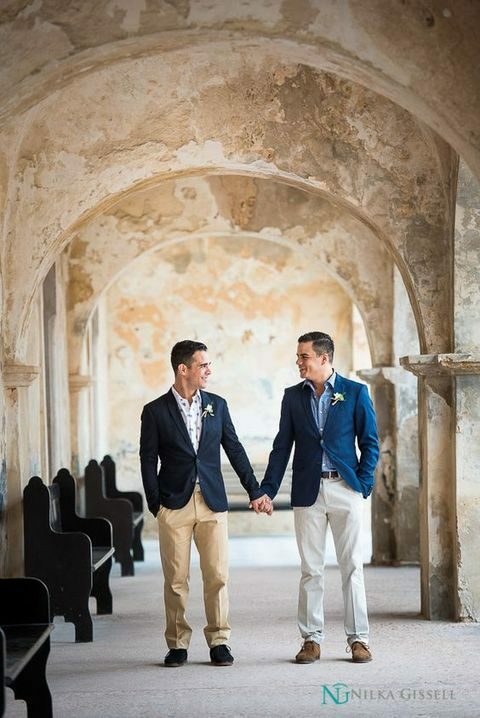 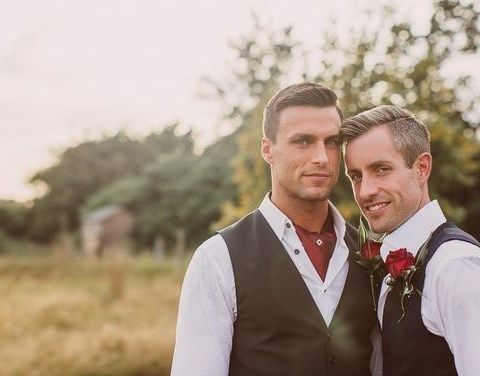 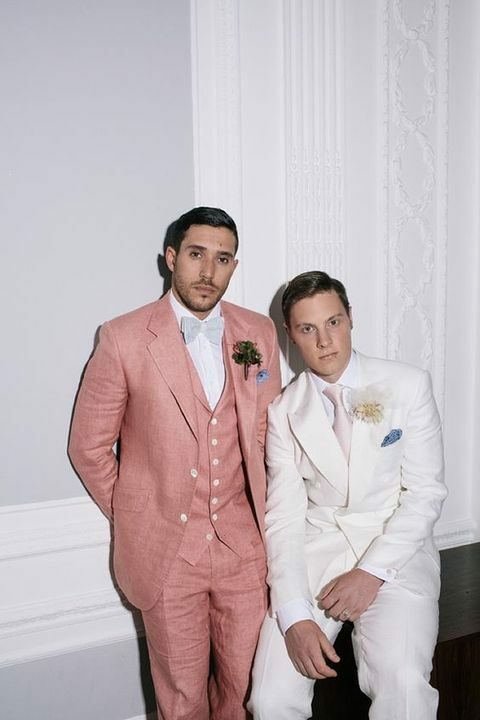 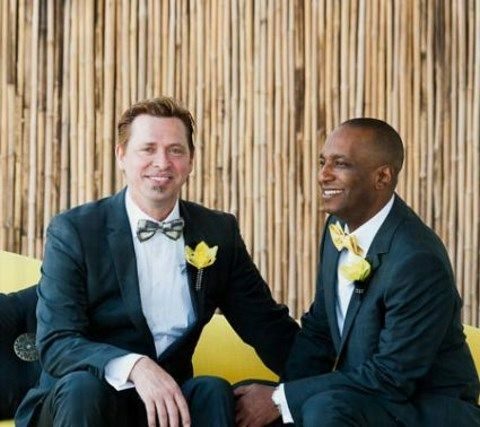 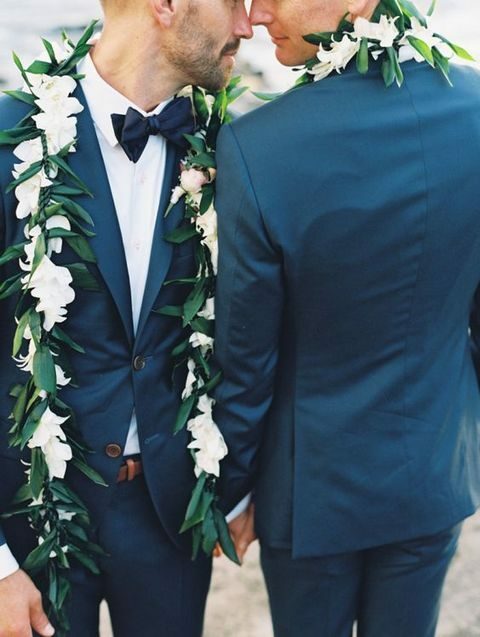 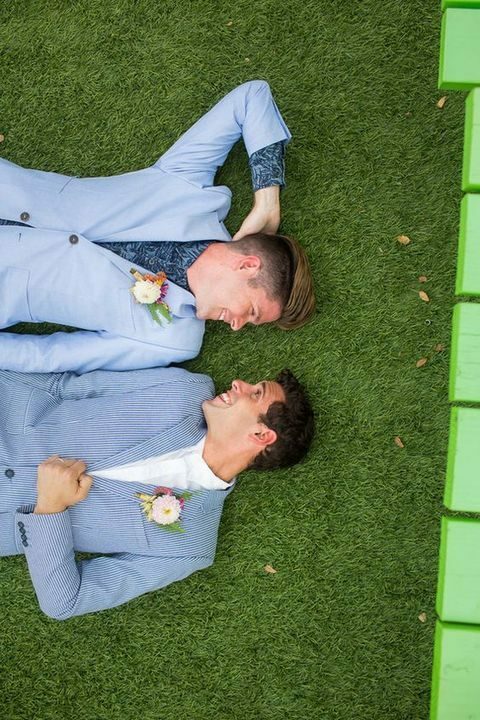 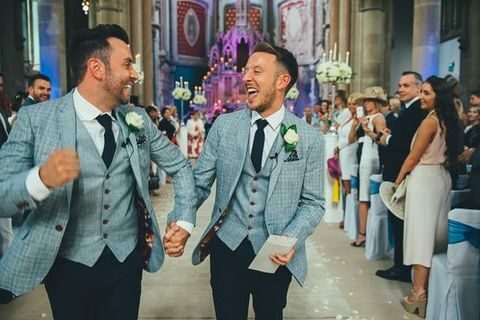 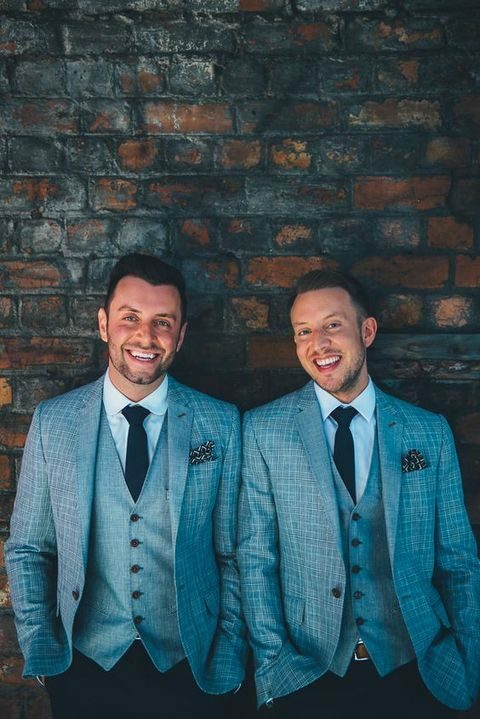 Today we will get inspired by the hottest groom looks for gay marriages. 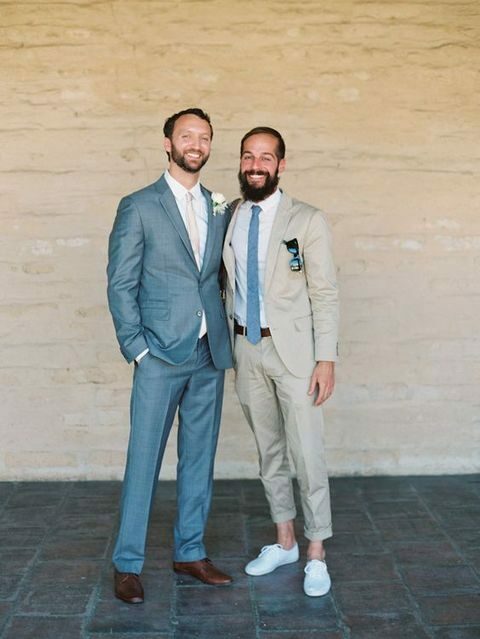 Gays are known for their attention to detail, great sense of style and chic outfits that make everyone swoon over, and you’ll find all of that in these pics. 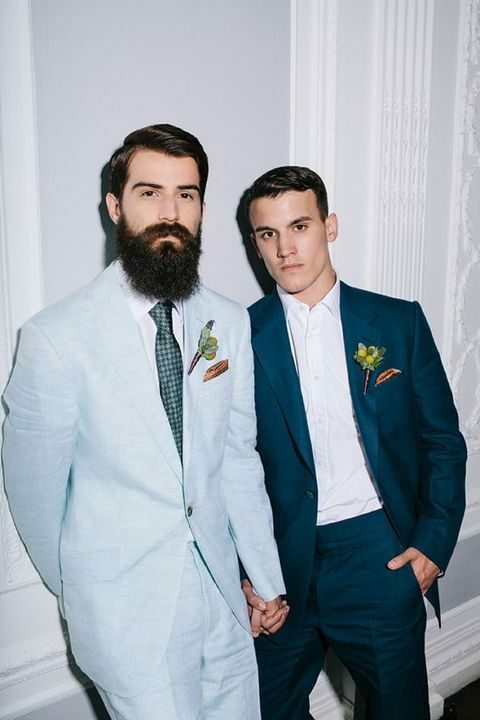 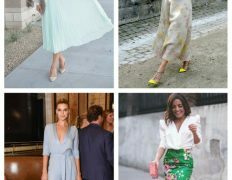 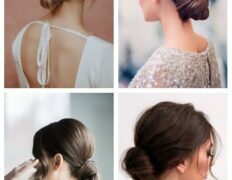 These guys look stylish, hot, every detail is thought over, and I’m sure that you will find an idea or two to get inspired. 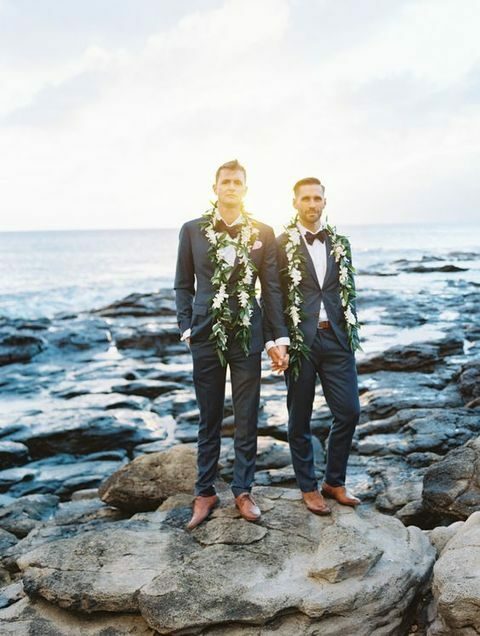 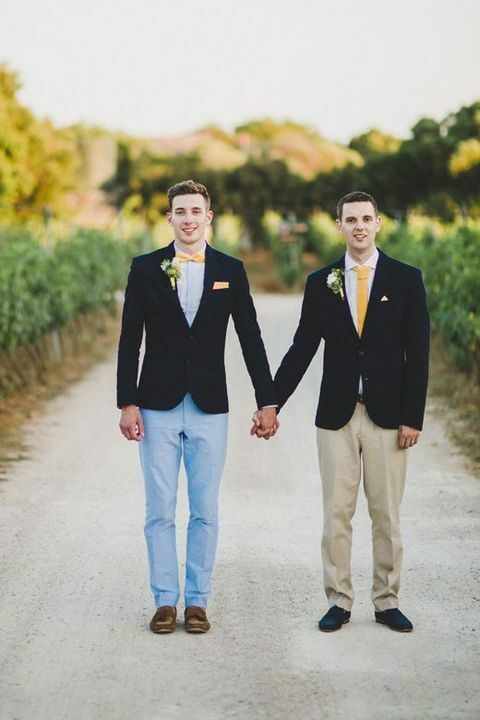 Some grooms prefer the same outfits for the wedding to look like one whole together. 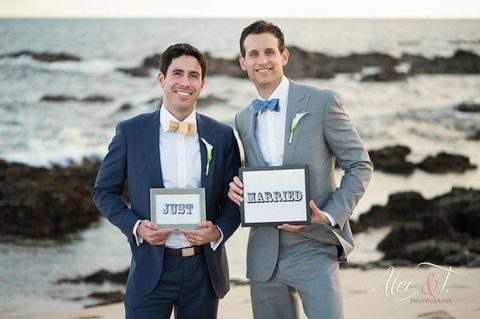 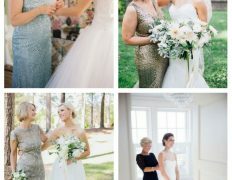 These can be the same tuxedos or suits, same shirts and ties or bow ties, but keep in mind that the colors should suit both grooms to recreate a stunning look. 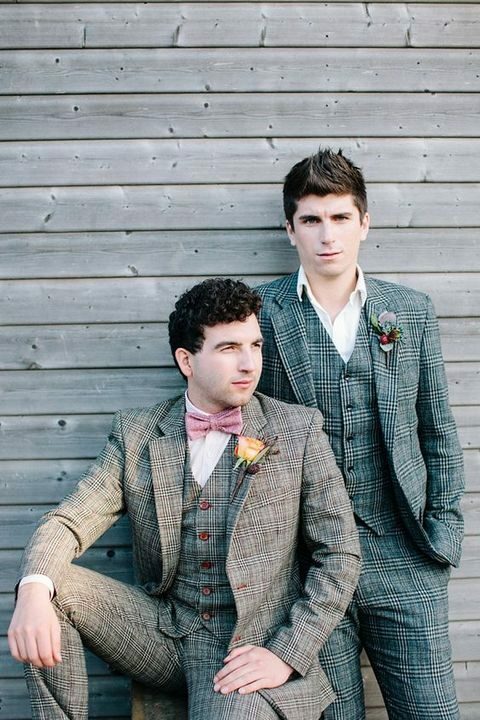 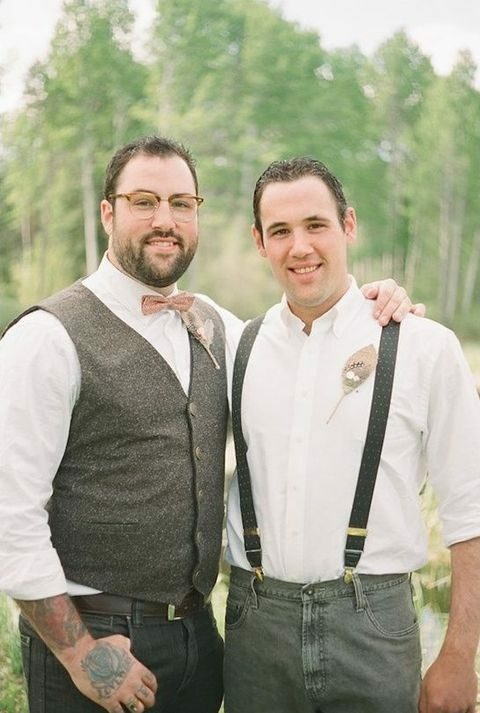 Another idea is matching or complementing looks for grooms. 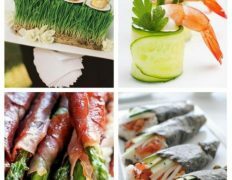 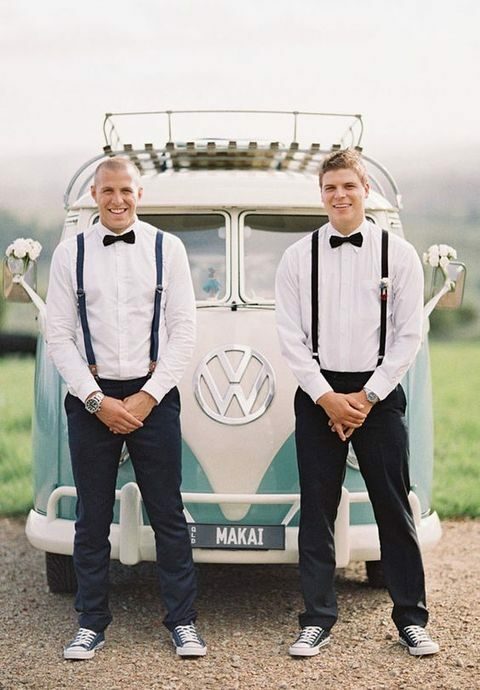 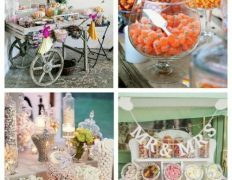 This idea allows to look complementary and show off the personality and individuality of each groom at the same time. 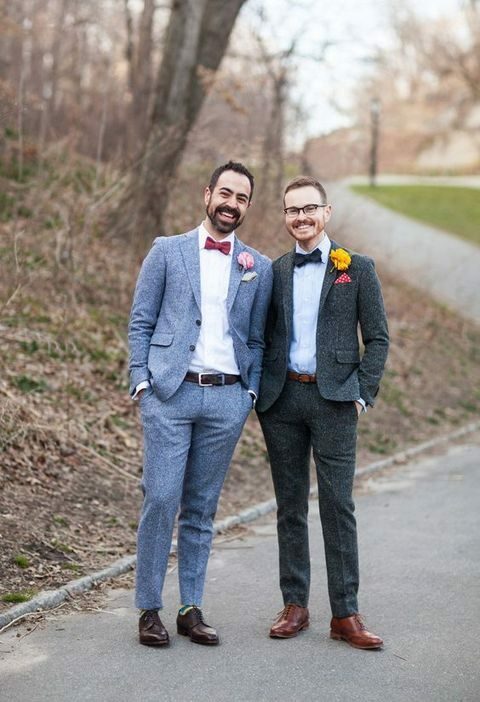 You can get suits or jackets of the same look but different colors; you can wear same suits but style and accessorize them differently and in different colors. 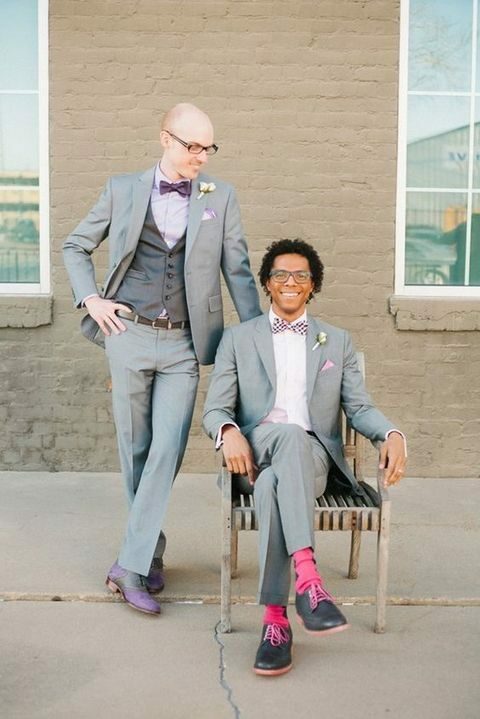 You may try different shades of the same color, or take the same shade but different suits. 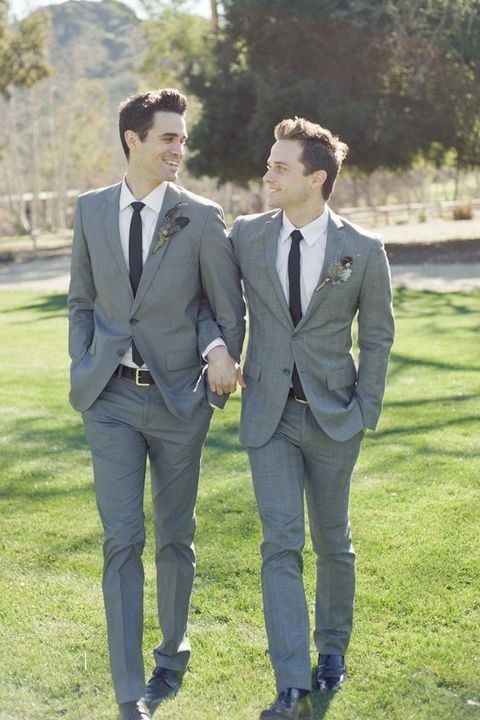 I totally admire the idea of different suits but with ties, each of which matches the second groom’s suit. 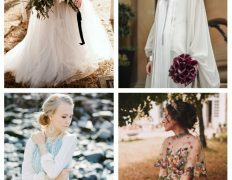 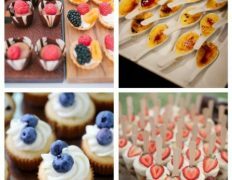 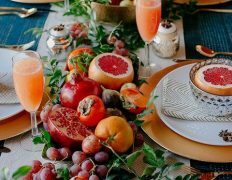 The subsequent time I read a weblog, I hope that it doesnt disappoint me as a lot as this one. 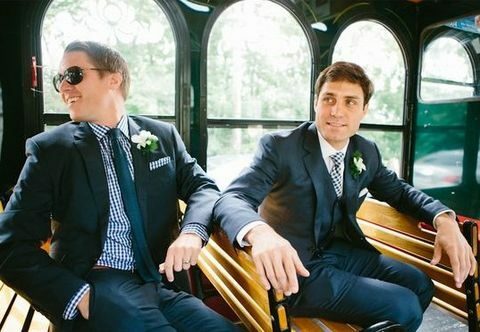 I mean, I know it was my choice to learn, but I actually thought youd have one thing interesting to say. 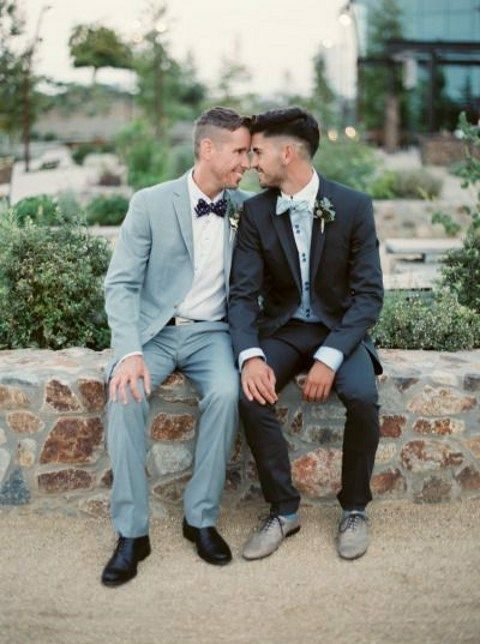 All I hear is a bunch of whining about one thing that you can repair if you werent too busy searching for attention.